Does it feel like you are rowing a boat when you shift gears in your Geo/Isuzu? Reduce those shift throws by up to 30%! This Short-throw shifter is designed for a 5 speed manual transmission to allow for faster shifts during spirited driving. Made of high grade steel and aluminum. 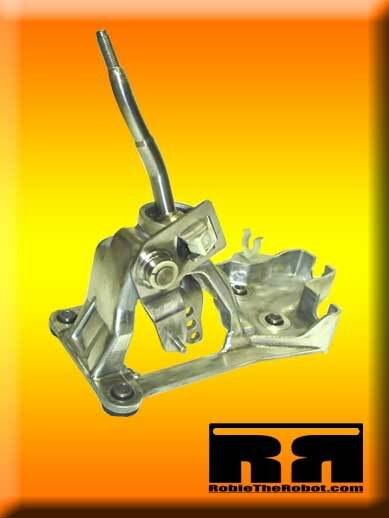 Direct OEM replacement for the 1990-1993 Geo Storm & GSi, Isuzu Impulse XS & RS, Isuzu Stylus S & XS, Asuna Sunfire. Shifter is 1" shorter than stock and gives a solid feel to shifting. Installation is very straight forward and can be in your car within an hour. Installation instructions can be found in the Research link above. Short Throw Shifters are made at the time of order, Please allow 14-21 days before shipping.